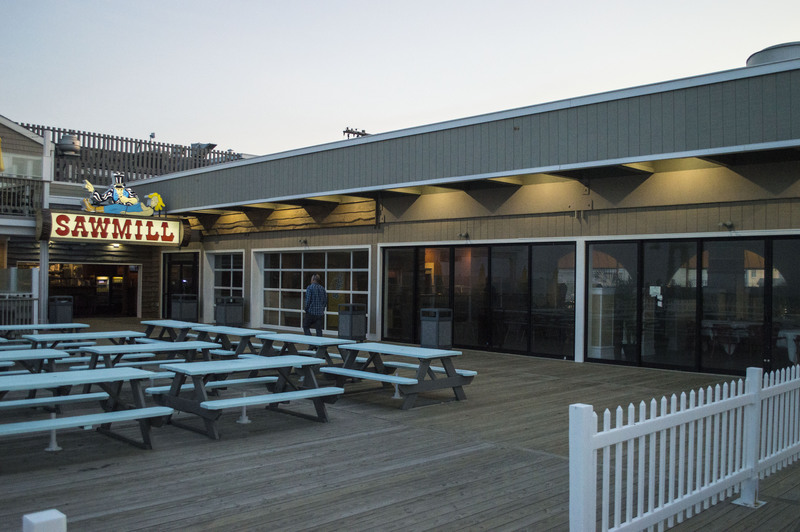 The owner of the Sawmill and Park Pavilion complex on the boardwalk at Stockton Avenue in Seaside Park has requested an expansion of the business’s liquor license. Seaside Park officials discussed the application at a work session meeting Thursday night and decided to hold a hearing with representatives from the restaurant and bar at a regular council meeting later this month. According to Council President Michael Tierney, the application seeks to expand the outdoor seating area of the restaurant as far north as Farragut Avenue. The owner is also requesting he be able to use the liquor license in the remainder of the Park Pavilion complex’s first floor, where a former arcade has been converted to an eatery. 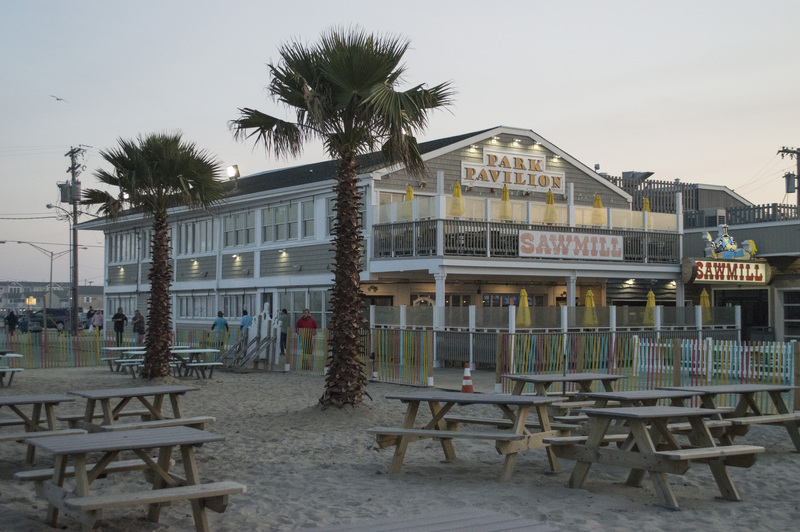 Presently, the Sawmill has outdoor seating on a patch of sand east of its building and a full-service outdoor seating area on the boardwalk north of the building. The application is requesting the boardwalk seating be expanded with the sale of alcohol permitted. Borough Attorney Steven A. Zabarsky said the police department is aware of the application and must review it. Councilwoman Gail Coleman asked if an expansion of the license would allow the borough to raise the license fee on the establishment, an idea that did not garner support from other council members. Tierney, however, said the expansion of the eatery and license may increase the value of the property if it were to be reassessed, which would generate additional revenue. Tierney said he has no issue with the application, but wants the restaurant to maintain an agreement with the borough that the outdoor use of the license is subject to a review and new approval each year. Since the outdoor seating was first established, he said, the Sawmill owner has worked well with the borough to implement suggestions about safety. “He did put a fence around it, and it’s back five feet,” said Tierney, citing two requests from the borough. The next borough council meeting, at which the application is expected to be discussed, will be held May 26 at 7 p.m. in the municipal courtroom, on the second floor of the police station.